AIIMS Jodhpur invites application for the post of 74 Medical Social Service Officer, Sanitary Inspector & Various Vacancies on direct recruitment basis. Apply Online before 08 May 2017. Detailed information given below……. Online applications only are invited from Indian Citizens by the Director, AIIMS, for the following faculty posts of Assistant Professor and Lecturer in Nursing on regular basis. Apply before 20 April 2016. Application Fee : The application fees of Rs.600/- (Rs.300/- for SC/ST candidates) . How to Apply : Apply Online at AIIMS Raipur website from 22/07/2013 to 21/08/2013 only. Take a print out and submit it by speed post /registered post to Deputy Director (Admin), AIIMS, Tatibandh, Raipur (CG) Pin 492001. The envelope should be super-scribed “APPLICATION FOR THE POST OF————————” along with one stamped self addressed envelope. Please visit http://aiimsraipur.edu.in/Career.aspx for details and online application format. Application Fee : The application fees of Rs.250/- (no fee for SC/ST candidates) in the form of Demand Draft/ Pay order/Postal Order in the name of “ AIIMS, Rishikesh” payable at Rishikesh. How to Apply : Application in the prescribed format should reach on or before 05/08/2013. Please visit http://aiimsrishikesh.edu.in/details.php?pgID=qu_7912 for details and application format. Application Fee : The application fees of Rs.500/- (Rs.200/- for SC/ST candidates) . 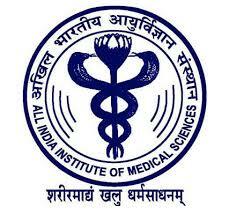 How to Apply : Apply Online at AIIMS Raipur website from 24/07/2013 to 23/08/2013 only. Take a print out and submit it by speed post /registered post to Deputy Director (Admin), AIIMS, Tatibandh, Raipur (CG) Pin 492001. The envelope should be super-scribed “APPLICATION FOR THE POST OF—————————” along with one stamped self addressed envelope.